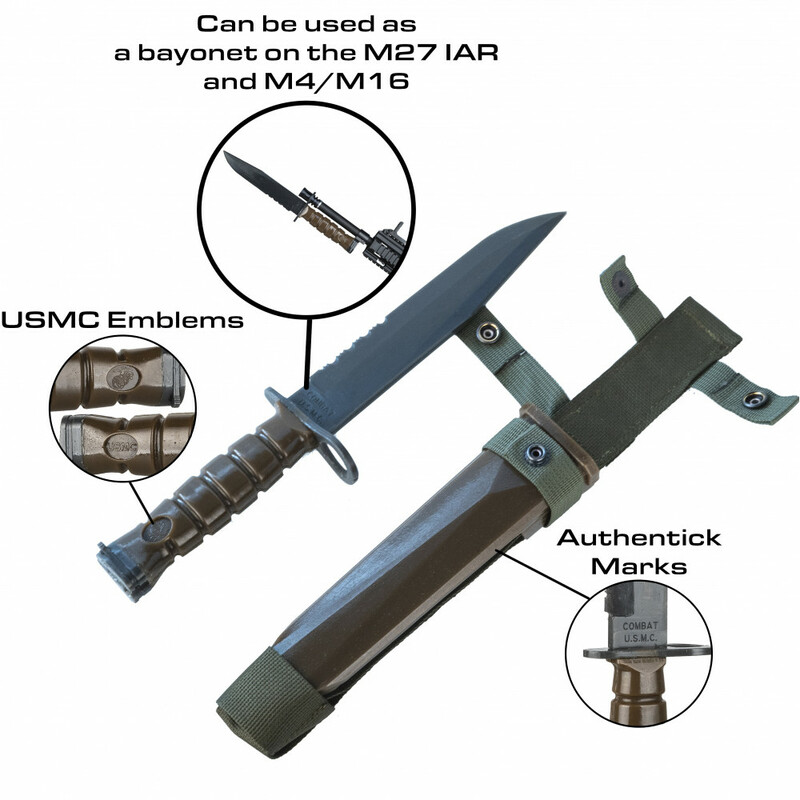 The replica of famous, high-brutal and glorious knife of The United States Marine Corps. 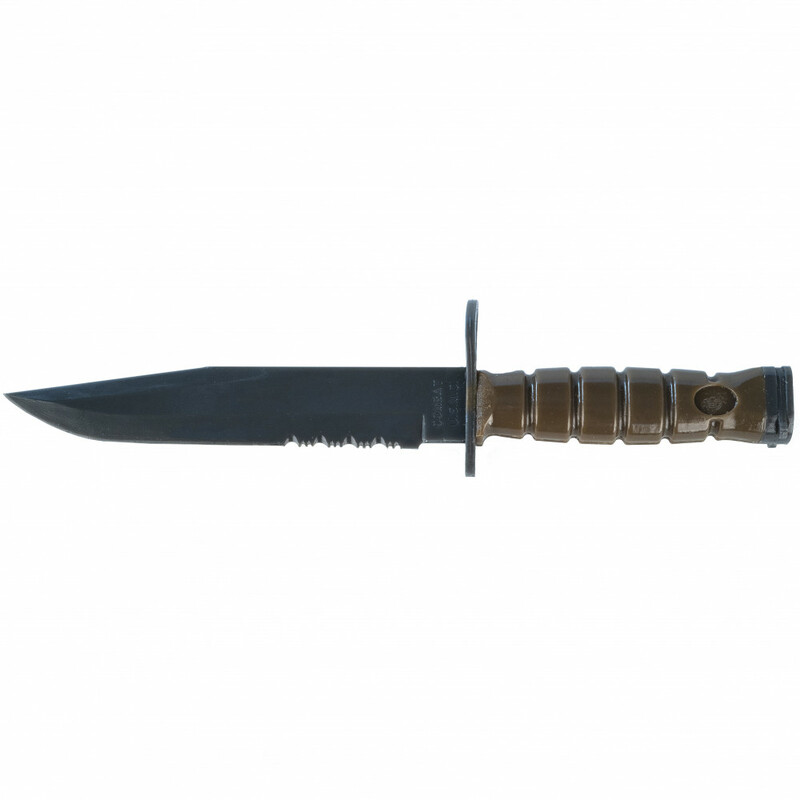 Well-recommended in dozens of armed conflicts, whis knife is still in service in The USMC actually. Big, brutal and durable- what may be best to be like a hero of Hollywood action movies? 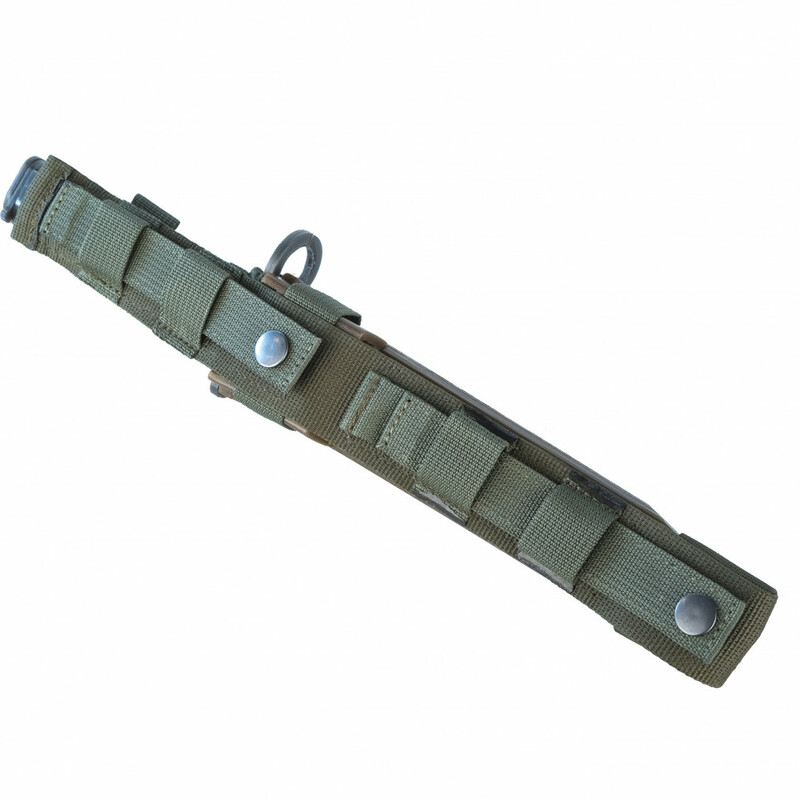 Includes MOLLE Holster and knife itself. 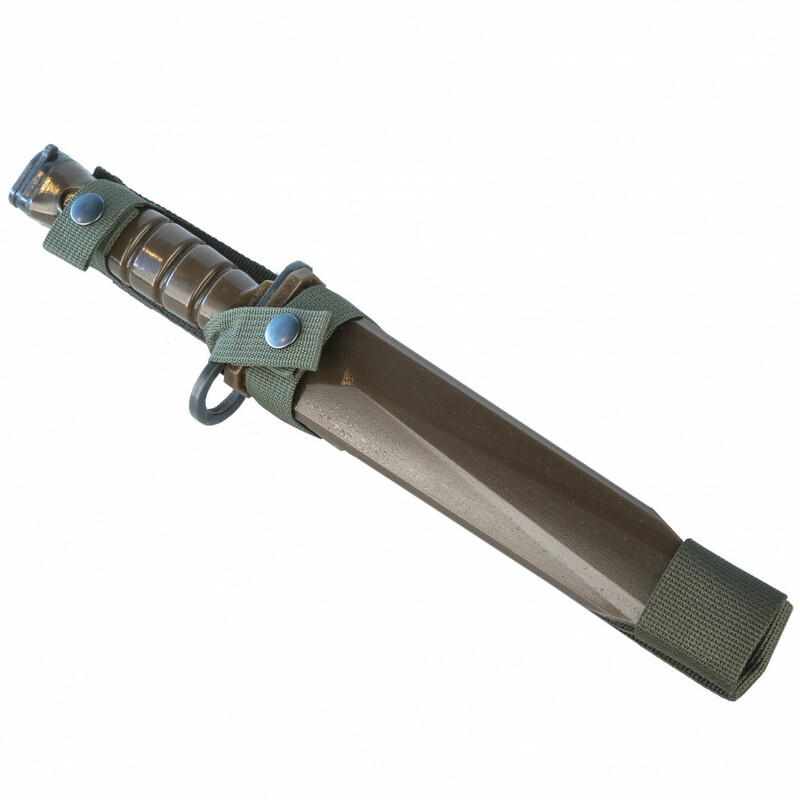 The replica is made of high-durable plastic and polymeric materials. Operational temperatures from +90 C till -50C. The kit consists of a knife and sheath. 100% authentic and looks like original one. 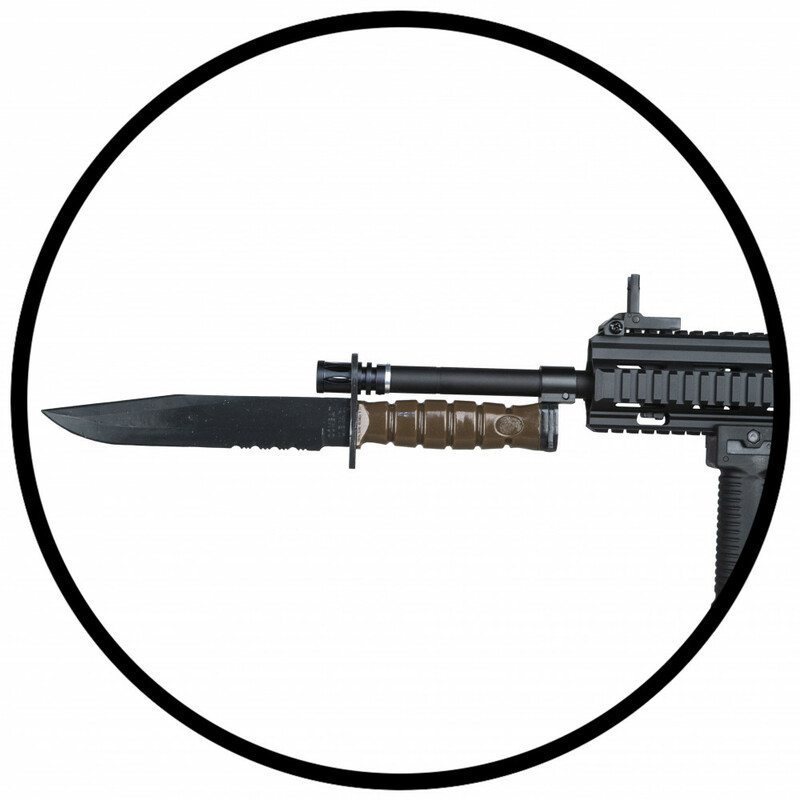 It is possible to install on M16 and M4. 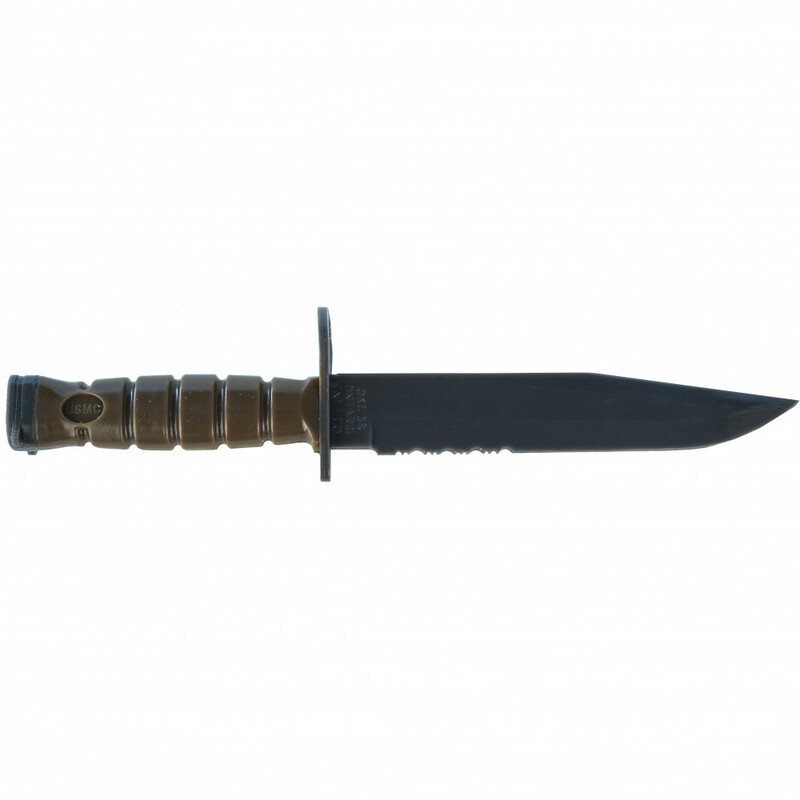 It`s training knife, not real combat knife!